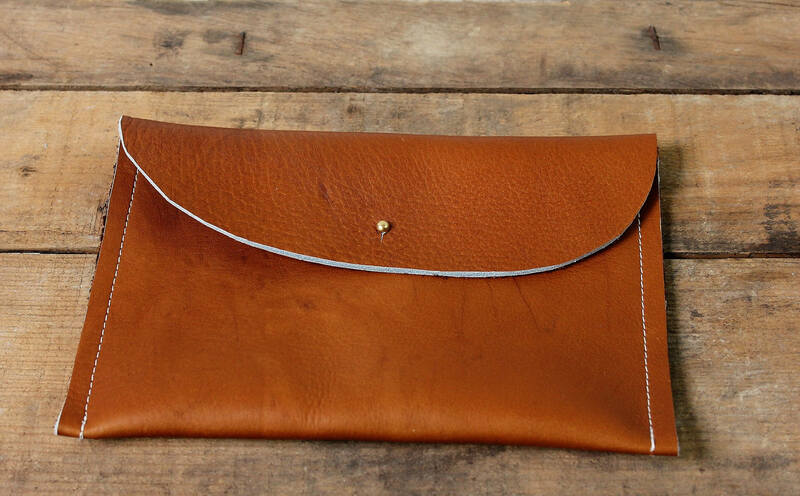 This pouch is made from a heavy brown 7oz. leather. It is a beautiful shade of brown and has a great patina. 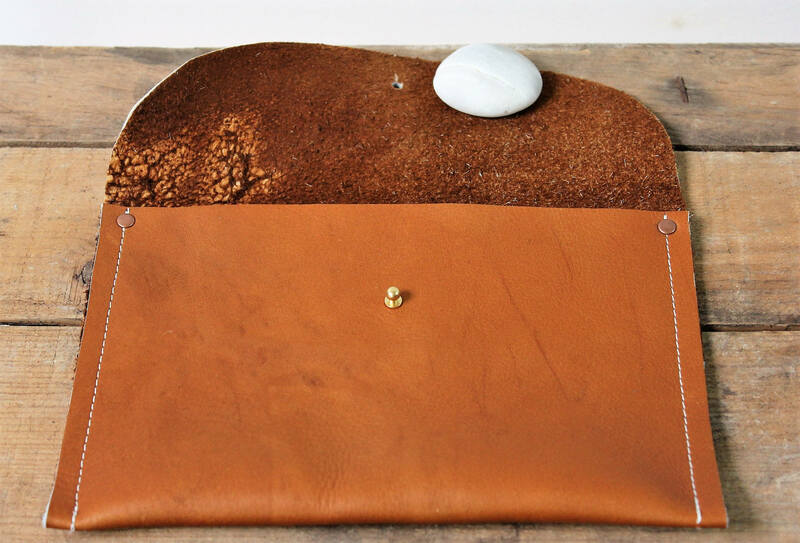 The corners of the pouch are secured with copper rivets and has a center brass stud closure.